MACKENZI HEYMAN is from College Station but now lives in Los Angeles. After meeting an amazing woman Nikki Petterson, Mackenzis' family took a huge leap of faith and moved to Los Angeles. She has a constant gig at Republic of Pie in LA, where I first saw her sing live! Not only was she bubbly, sarcastic, cleaver, stylish and sweet; BUT she also has a voice to match. For about 20 minutes I was drawn into her voice, and I couldn't look away or be bothered with conversation. 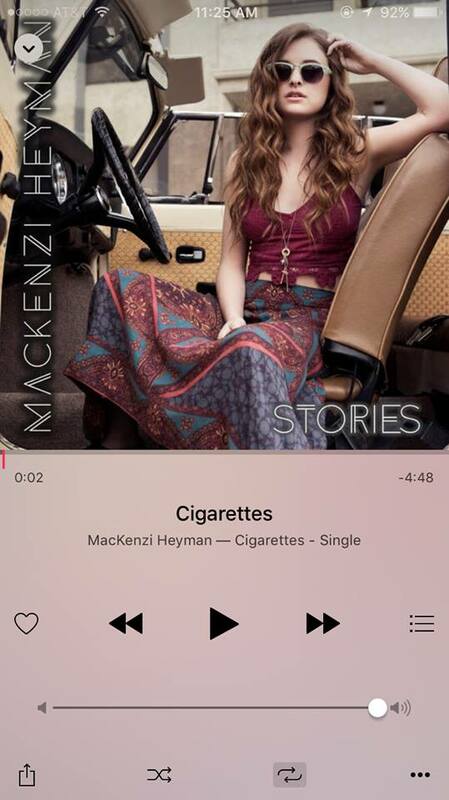 Heyman's new single CIGARETTES is out NOW! A great song in which its title is just the beginning of something amazing! I suggest you download it and get lost in the words and musical creativity that is Mackenzi Heyman. I am SO honored to have her in the studio to debut her new song, as well as singing some amazing covers! Take a listen to her interview on Candy 95 below! Also check out the links to her social media profiles. LaShunda Mitchell with Grind 4 God Ministries!